Plastic seems all pervasive and unavoidable. 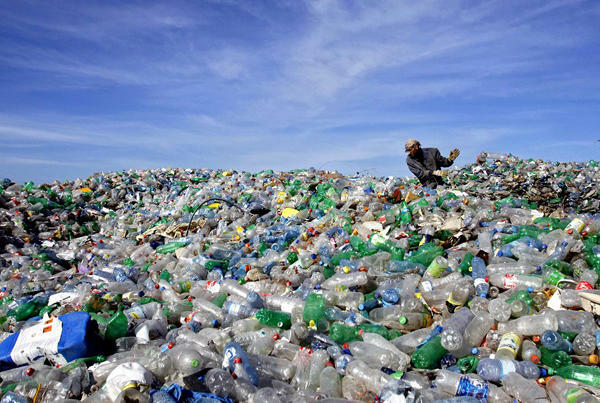 Since the 1960s our use of plastic has increased dramatically, and subsequently, the portion of our garbage that is made up of plastic has also increased from 1% of the total municipal solid waste stream (household garbage) to approximately 13% (US Environmental Protection Agency). Plastic products range from things like containers and packaging (soft drink bottles, lids, shampoo bottles) to durable goods (think appliances, furniture and cars) and non-durable goods including things from a plastic party tray to medical devices. Sometimes marked with a number and a chasing arrow, there is an illusion that all plastics are recyclable, and therefore recycled. But there are a number of problems with this assumption. While use and consumption of plastic is increasingly high, doubts about viable options for reuse, recycling and disposal are also on the rise. Complications such as the increasing number of additives used alter the strength, texture, flexibility, colour, resistance to microbes, and other characteristics of plastics, make plastics less recyclable. Additionally, there is very little market value in some plastics, leading municipalities to landfill or incinerate plastics as waste. Based on figures from the EPA (2011 data) only 8% of plastic materials are recovered through recycling. Another major concern about plastics in the waste stream is their longevity and whether or not they are truly biodegrade. It is estimated that most plastics would take 500-1000 years to break down into organic components. 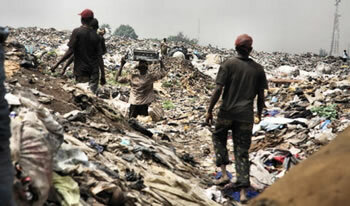 Because of this longevity and the low rate of recycling, much of our plastic waste ends up in landfills or as litter. Some of this plastic waste makes its way via rivers and wind to the ocean. Garbage barges, and the trans-continental transport of recyclable materials also lead to an increasing amount of plastics in our oceans and waterways. Plastic waste directly and indirectly affects living organisms throughout the ecosystem, including an increasingly high impact on marine life at a macro and micro scale. According to United Nations, almost 80% of marine debris is plastic. Policy enforcement remains weak, global manufacture of plastics continues to increase, and the quantity of plastic debris in the oceans, as well as on land, is likely to increase. With limited sustainable recovery of plastics, there is a growing global movement to reduce the generation of plastic. Certain types of plastic may be ’safer‘ for the environment than others, however, there are troubling issues associated with all of them, leading to the conclusion that action is needed to remove plastic waste, and stricter controls are required to limit new sources of plastic pollution. 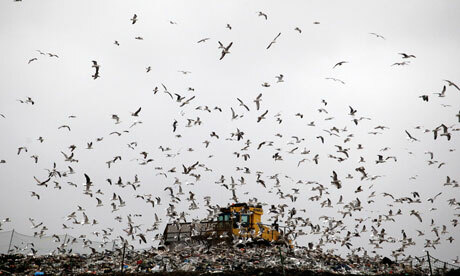 Efforts such as light weighting of packaging and shifts to compostable plastics are options. 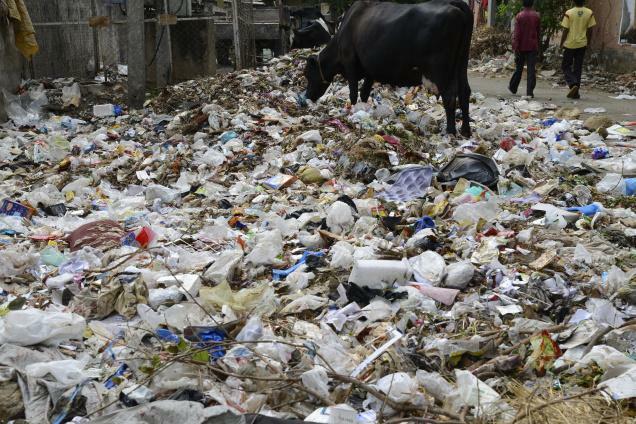 Policies limiting the use of plastics such as bottle bills and bag bans are other ways to decrease the production and consumption of plastics. Mining the debris fields in our oceans and turning plastic waste into usable materials, from socks made of fishing line to fuel made from a variety of plastic debris, is one way to mitigate the current situation. The high rate of population growth, urbanization and economic expansion in the Middle East is not only accelerating consumption rates but also increasing the generation rate of all sorts of waste. 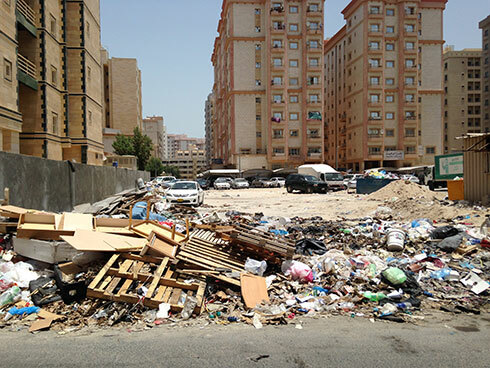 Bahrain, Saudi Arabia, UAE, Qatar and Kuwait rank in the top-ten worldwide in terms of per capita solid waste generation. 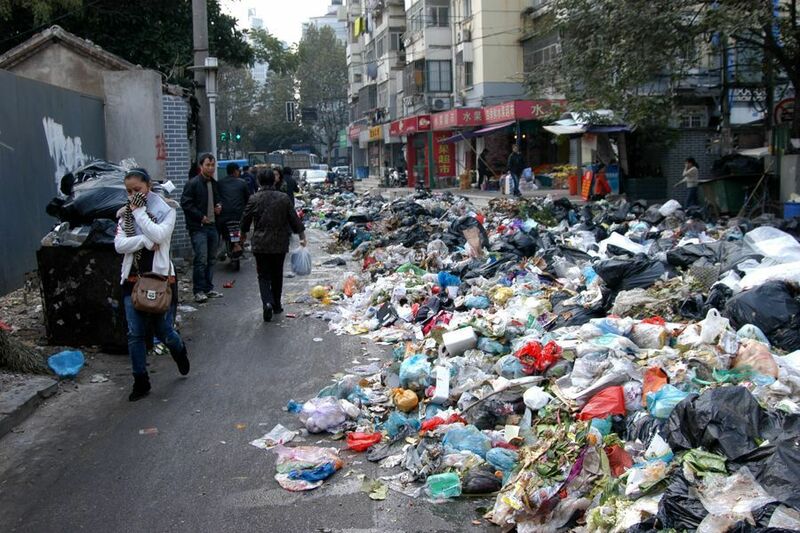 The gross urban waste generation quantity from Middle East countries is estimated at more than 150 million tons annually. 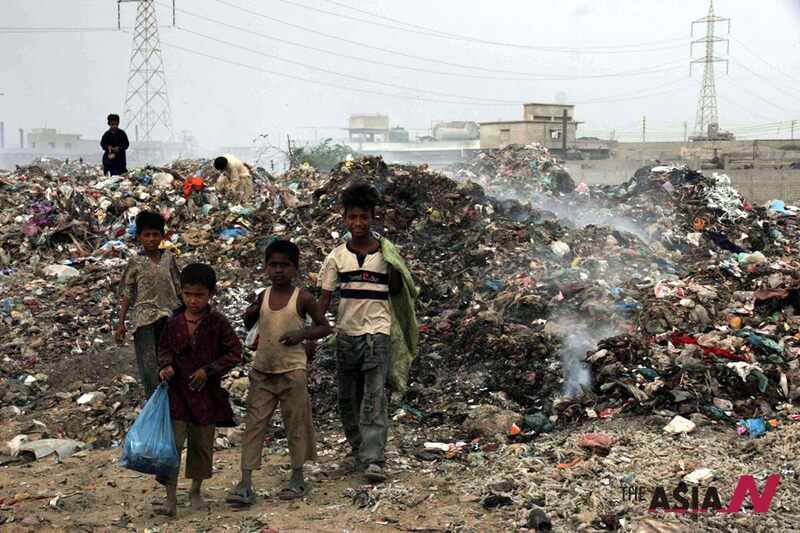 Saudi Arabia produced 13 million tons of garbage in 2009. 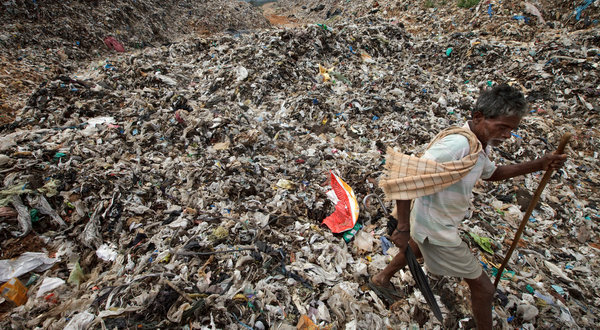 With an approximate population of about 28 million, the kingdom produces approximately 1.3 kilograms of waste per person every day. 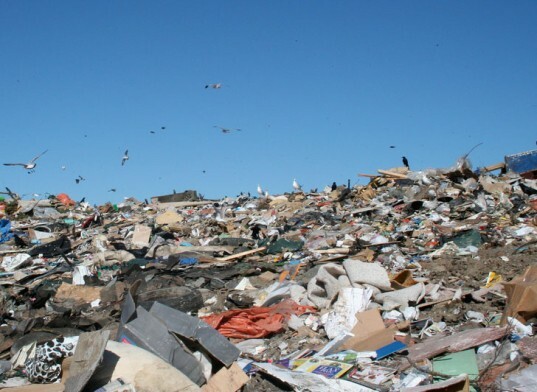 According to a recent study conducted by Abu Dhabi Center for Waste Management, the amount of waste in UAE totaled 4.892 million tons, with a daily average of 6935 tons in the city of Abu Dhabi, 4118 tons in Al Ain and 2349 tons in the western region. 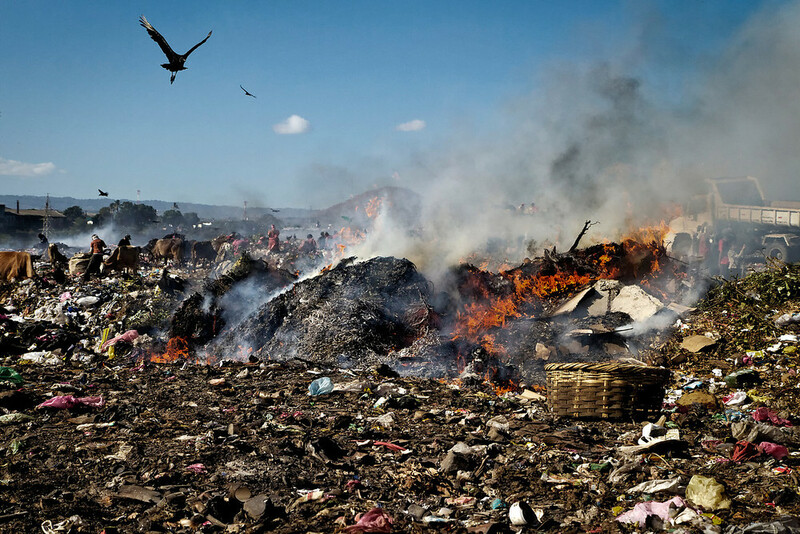 Countries like Kuwait, Bahrain and Qatar have astonishingly high per capita waste generation rate, primarily because of high standard of living and lack of awareness about sustainable waste management practices. In Middle East countries, huge quantity of sewage sludge is produced on daily basis which presents a serious problem due to its high treatment costs and risk to environment and human health. On an average, the rate of wastewater generation is 80-200 litres per person each day and sewage output is rising by 25 percent every year. According to estimates from the Drainage and Irrigation Department of Dubai Municipality, sewage generation in the Dubai increased from 50,000 m3 per day in 1981 to 400,000 m3 per day in 2006. 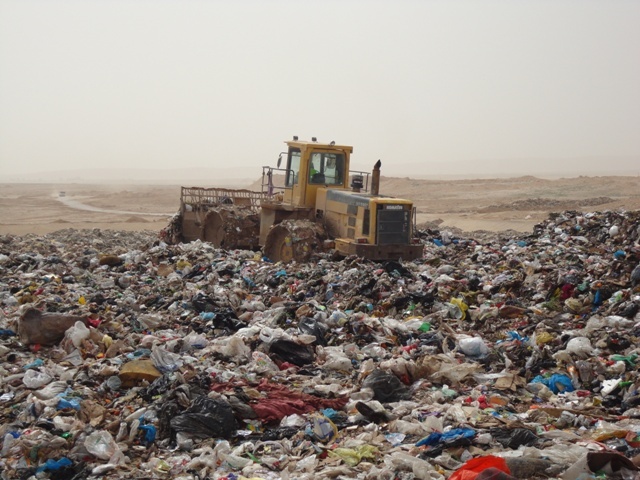 Municipal solid waste in the Middle East is mainly comprised of organics, paper, glass, plastics, metals, wood etc. 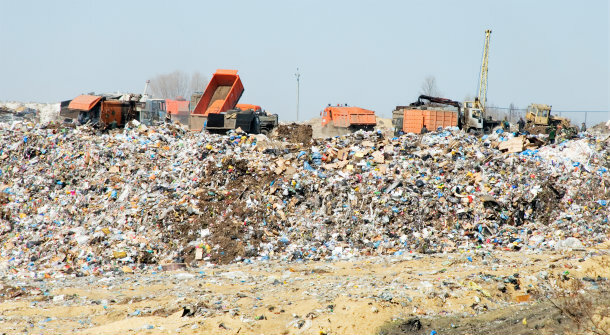 Municipal solid waste can be converted into energy by conventional technologies (such as incineration, mass-burn and landfill gas capture) or by modern conversion systems (such as anaerobic digestion, gasification and pyrolysis). 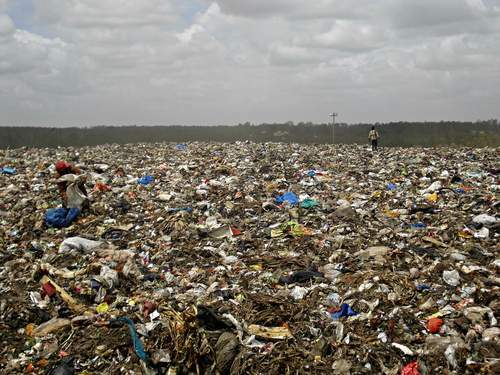 At the landfill sites, the gas produced by the natural decomposition of MSW is collected from the stored material and scrubbed and cleaned before feeding into internal combustion engines or gas turbines to generate heat and power. In addition, the organic fraction of MSW can be anaerobically stabilized in a high-rate digester to obtain biogas for electricity or steam generation. Anaerobic digestion is the most preferred option to extract energy from sewage, which leads to production of biogas and organic fertilizer. The sewage sludge that remains can be incinerated or gasified/pyrolyzed to produce more energy. In addition, sewage-to-energy processes also facilitate water recycling. Thus, municipal solid waste can also be efficiently converted into energy and fuels by advanced thermal technologies. Infact, energy recovery from MSW is rapidly gaining worldwide recognition as the 4th R in sustainable waste management system – Reuse, Reduce, Recycle and Recover.